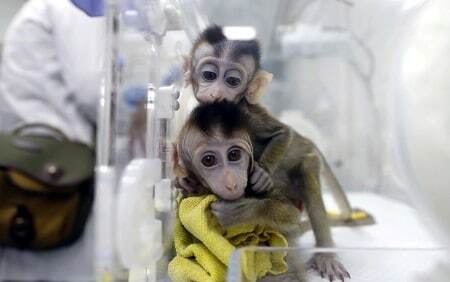 SHANGHAI (Reuters) – Chinese scientists have made clones of a gene-edited macaque to aid research of circadian rhythm disorders that are linked to sleep problems, depression and Alzheimer’s disease, the official Xinhua news agency said on Thursday. The cloned monkeys already show signs of “negative behavior”, including sleep disorders, as well as elevated levels of anxiety and “schizophrenia-like behaviors”, the paper added. Xinhua said the program, supervised by the institute’s ethics panel, was in line with international ethical standards for animal research.